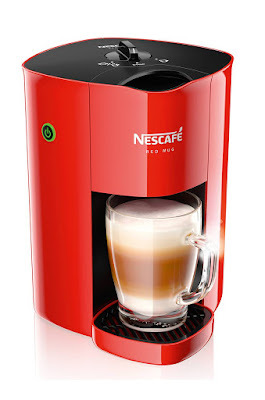 Nescafe introduces the new Nescafe Red Mug Machine, a unique innovation that easily creates cafe style coffee at home. The convenient and easy to use Nescafe Red Mug Machine lets you create a wide range of delicious and pretty cups of coffee. Developed in Switzerland by Nestle coffee machine experts, the Nescafe Red Mug Machine boasts a coffee chamber with a unique cyclone that brings out Nescafe classic coffee aroma and flavor. It also has a foaming jet technology that creates foam with ease, inspired by the barista steam jets you see in local coffee shops. 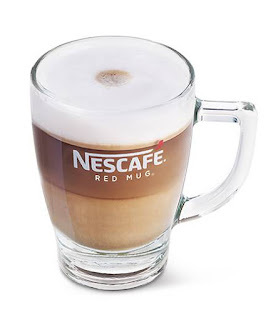 In around two minutes, the Nescafe Red Mug Machine lets you have a foamy Cappuccino, layered Latte, fancy Mocha, velvety Americano and other delicious coffee creations using Nescafe Classic and Nestle Coffee-Mate. With this new innovation, you can easily #StartCreating (you can post your own coffee creation online and use the hashtag to share with others!) so many exciting coffee recipes at home to suit any occasion. Nescafe has partnered with four coffee lovers who have been tasked to develop their own personal coffee creations using the Nescafe Red Mug Machine. The Nescafe Red Mug Machine ambassadors are the recently engaged singer and actress Denise Laurel; the creative marketing wiz Raymond Gutierrez; the artist-turned-foodie and restaurateur Bianca King, and the animated and vibrant interior designer Tessa Prieto-Valdes. My favorite ambassador is Tessa Prieto-Valdes. :) How can I not? She definitely looked the part with her little coffee latte fascinator hat! Love it! #StartingCreating your own special coffee moments at home with Nescafe Red Mug Machine, just like Denise, Raymond, Bianca, and Tessa. Available in select SM, Robinsons, Landmark, Puregold and Merkado Supermarket branches in Metro Manila at a special introductory price of Php 1,999 until December 2015 only. This special package will come with a transparent glass mug, 100 grams of Nescafe Classic, and 250 grams of Nestle Coffee-Mate.